Dining at Mrs Danvers’ just got even spookier. 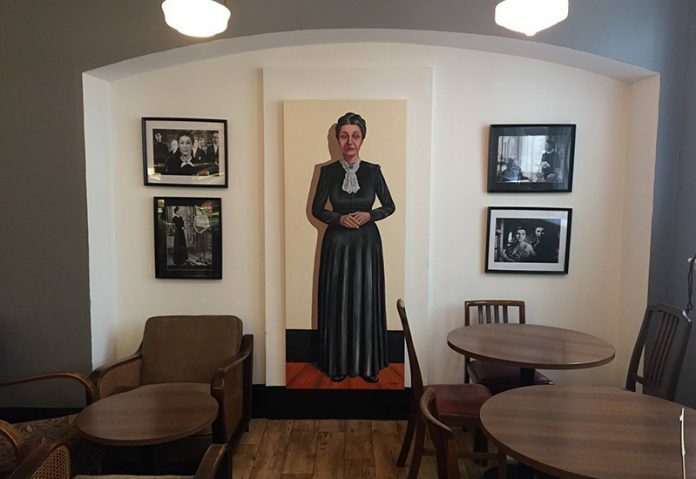 The Port of Liverpool building cafe, named after the scary housekeeper in the novel Rebecca, has welcomed home its eponymous heroine in the form of a life-size painting. Commissioned by owner Maria Rouge to celebrate the cafe’s second birthday, the painting will watch over diners as tuck into a selection of homemade treats. Despite the name, the cafe itself couldn’t be more welcoming, with comfy armchairs and welcoming staff serving up hearts soups, sandwiches, quiches and a selection of homemade cakes. 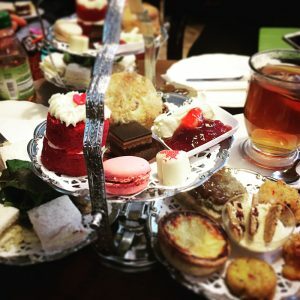 Afternoon teas are a speciality, although due to the fresh ingredients required they do need to be booked in advance.